The British Medical Journal has rounded up many of the commonly held beliefs that many doctors think are true. 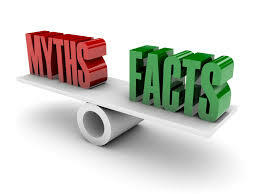 Despite the fact that these myths have either been proven false or they lack supporting evidence, they looked at them closely. The myths include: We use only 10% of our brains, eating turkey makes you sleepy, reading in dim light will damage your eyesight, that we need to drink eight glasses of water each day, shaving causes hair to grow back faster, darker and coarser, and hair and fingernails continue to grow after we die. All of them false! It’s pretty interesting that these myths are out there and we fall for them. The researchers who combined the literature, and they looked at all sorts of things for proof of the myths, found their doctor colleagues also found it hard to believe many of these myths are not true.